I want you to get this today. I believe strongly in the local church’s existence in the dichotomy of God’s ultimate plan to bring reformation and change to the world. That’s why Revelation says “the churches”. It was a letter written to the seven churches. That meant there were different ones. Corinth was a big mega church, with 1000 teachers in it. The church that Timothy pastored in Ephesus was a mega church. I want you to get something about the Church. God might whisper the secret of your purpose into your heart, today. It says that the people who were coming into the Kingdom steadfastly persevered. They devoted themselves, constantly. It wasn’t hit and miss. It wasn’t occasionally. They were committed in this thing, all the way. It says that a sense of awe came upon every soul, and many wonders and signs were performed. “And all who believed were united and had everything in common.” They had ‘united purpose’. They came together in an outpouring of God that is so phenomenal. You’ve got to understand a brief moment of history. God wanted to pour out his Holy Spirit, that Jesus promised. He told them to wait in the Upper Room and they’d be endued with power from on high, and they’d receive the baptism of the Holy Spirit. That’s so significant. It’s the first time that God sent the Holy Spirit to live inside of men. Because, all through the Old Testament, the Holy Spirit worked on the outside. Whenever you see Samson and those guys, they had the Spirit of God working with them, but not in them. But, God changed everything when Jesus sat down at the right hand of the Father. He sent the wind, and the wind blew the Holy Spirit right into the hearts of men, and they were endued with power from on high. That’s the genesis of the beginning of the Church. It didn’t start with the Catholics or Presbyterians, the Baptist or Pentecostals. It started that day, the day of Pentecost. That day God birthed the Church. We need to know that because it is our model. We’ll continue on Friday. Have a great week! Lord, help me to not be afraid when bad things happen, knowing You are my refuge and my strength, a very present help in trouble. Even if the world falls apart, even though the mountains are carried into the midst of the sea, I don’t have to fear. 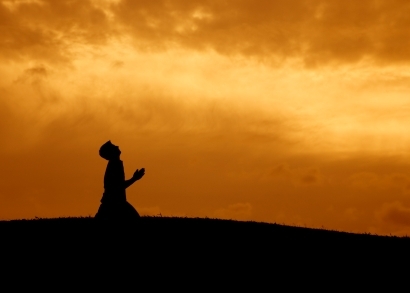 Raise me up to be a powerful praying servant of Yours who lives anxious for nothing and fearful of no one. Help me to find encouragement in You and Your Word. 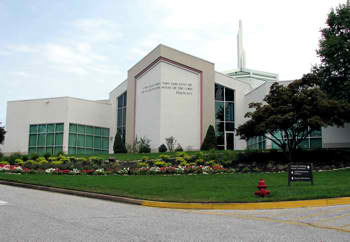 Prayer Line is available 24 hours per day, 7 days per week 410-882-2689. For After-Hour Emergencies, contact Wayman Hicks 443-322-6336. You can see more messages by visiting us on YouTube! You are welcome to subscribe to our YouTube channel BartPierceLive. Life is full of daily battles. Why do good Christian soldiers – pastors, leaders, intercessors, and others – lose some of those battles? 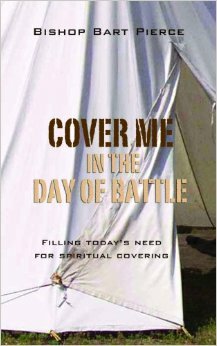 Is it possible that they fail to reach their greatest potential because they go to battle without the covering of a spiritual father? In this day of do-it-yourselfism, Bishop Bart Pierce says it’s time to address our need for fathers – both spiritual and natural. It’s God’s desire and the groan of the world for mature sons to come forth. You can purchase this, and many other books, in our Revival Bookstore before or after any service!